After the demo Higher Reach caused attention in 2011, this full length album of Involution was released in autumn 2014. Involutions music can be described as an individual mix of a melodic to hard guitar sound in combination with powerful yet sensitive vocals and driving drums. Erdmann’s unique voice and Marcel’s first class lead guitar style form an exclusive blend of finest Heavy Metal. In particular the refrains, in which Erdmann and Marcel at times complement each other also vocally, are ideal earwigs. In spite of all metal catchiness Involutions music is diverse, no song sounds like another. One quickly realizes that this album is not the usual power metal pap, as with a lot of passion a fresh potion of musical magic was brewed. Destiny is a poetic gallop ride, Inner Denial a brash self-reflection between roughness and harmony, A Search a popular tune of classic Heavy Metal. The unique semi-ballad Rise complements the final melancholic and at the same time energetic ballad Up From The Dust, which impresses with soulful Savatage parallels. The Random Arrow in turn appears as a terrific pop-rock earworm, while the thrashy progressive Another Torch throws 16th triplets in the listener’s face. A Kind Of Satellite entrances on the one hand by his harder style despite a prudent hook, on the other hand by a tapping solo that could have come from the fingers of Michael Romeo. 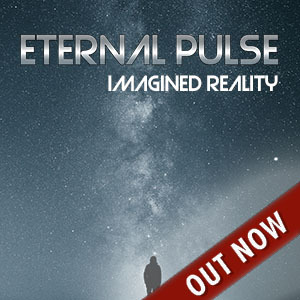 The brilliant delicacy My Own Mind captivates with a characterful mix of Sabaton (in the form of straight-melodic riffing) and Avantasia (in the form of the vocal duo Erdmann/Marcel in the chorus). The album is completely self-produced. A special attention has to be paid to the lyrics: Far away from clichés and kitsch they devote themselves experiences and conditions of being and spirit within a philosophical-poetical horizon. Instead of thereby getting lost in common phrases, profound lyrical images are designed and occasionally subtle intertextual relations with classics from philosophy and literature are tied.